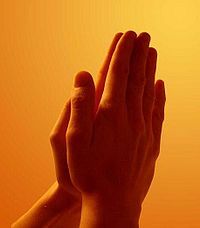 The Christian Post reporter Stoyan Zaimov wrote:Double-blind prayer experiments: where people pray for others with terminal illness. Habermas admitted that most such experiments have not worked, but the three that he knows of that have indeed worked were cases of orthodox-Christians praying for the sick. The New Testament indicates to Christians: "Therefore, confess your sins to one another, and pray for one another so that you may be healed. The effective prayer of a righteous man can accomplish much." - James 5:1 (NASB). In the Old Testament Elijah, who performed great miracles, taunted the prophets of Baal when there false god did not answer their prayer (1 Kings 20- 40). A medical journal article entitled Study of the Therapeutic Effects of Intercessory Prayer (STEP) in cardiac bypass patients: a multicenter randomized trial of uncertainty and certainty of receiving intercessory prayer was published in 2006 in the American Heart Journal. Using unsound reasoning, atheist apologists often cite this study to attempt to show that prayer is ineffectual. As can be seen above, however, prayer and performing the miraculous is dependent on the type of person/person engaged in the activity. Furthermore, by failing to cite Dr. Habermas's studies/argument above, atheist apologists are engaging in the fallacy of exclusion (see also: Atheism and logical fallacies). The Huffington Post reported in an article entitled Atheist Prayer: Religious Activity Not Uncommon Among Nonbelievers: "Among atheists and agnostics, 14 percent of said religion was "somewhat important" in their lives, while 17 percent said they took part in daily, weekly or monthly prayer." ↑ Study of the Therapeutic Effects of Intercessory Prayer (STEP) in cardiac bypass patients: a multicenter randomized trial of uncertainty and certainty of receiving intercessory prayer, Am Heart J. 2006 Apr;151(4):934-42.